What makes Zakes Mda a force to be reckoned with is his ability to communicate. He is blessed with an aura that consumes people’s attention as though by some electro-magnetic force. Bold and hilarious in his commentary, he appeases people’s minds and readies them for learning. What makes a man great? Is it the people he is affiliated with, accolades he has received, or records broken, or the special places he has visited? Many a man is hailed yet undeserving- on this premise I am indifferent to revered personalities or celebrities (for a lack of a better word). I actively seek to discern the true qualities in revered individuals I come in contact with, more-so if they embody positive traits I can harness so that I may become a better person. 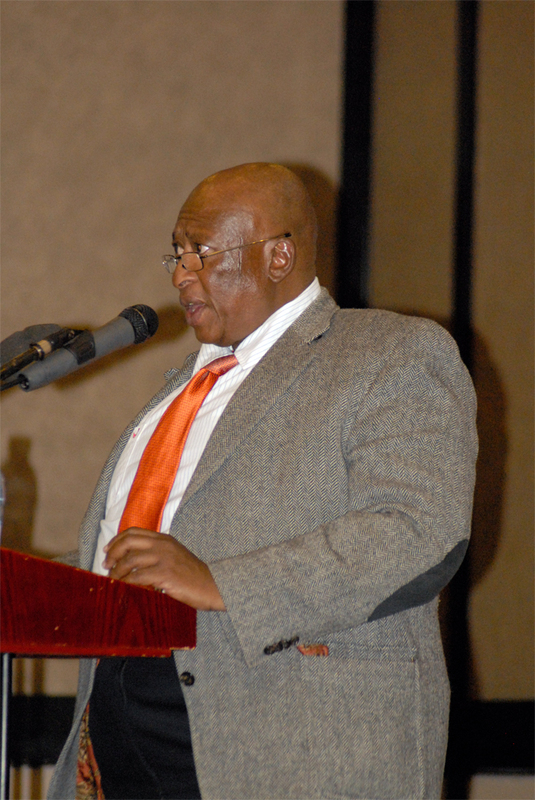 I learnt in May that Zakes Mda would be travelling to Lesotho to present the annual Mohlomi Memorial Lecture, eventually he revealed that he would be giving a “Further Critique Of Culture and the African Malaise”, I could not contain my excitement. Professor Mda is world renowned for his literary works, his unapologetic stance on current affairs, his zeal for teaching keen minds and many other attributes and the evening of September 26 could not come soon enough. A chance at having personal interaction with him would be a self-realisation exercise for me: as an aspirant writer, a student of African History and Culture, a knowledge enthusiast, avid reader, and as one of his twitter followers. Fortunately Professor Mda is an extrovert. An acute observer of his books and tweets will recognise details of his character because he lures you in. By sharing himself he is able to reach you and make you unperturbed enough to embrace his message. He makes references drawn from everyday scenarios- one can tell that he engages with his environment and relishes reflection while inheriting positivity out of every situation (which is most evident in his memoirs). He is meticulous in his delivery and gives life and meaning to his ideas in a very charismatic yet humble manner, characteristics which I feel qualify him as a leader of note. My view is that so long as there are personalities like Zakes Mda there is a bit of hope for humanity after-all, especially for the young African facing an identity crisis. He articulates immaculately the beautiful attributes we have, yet neglect and reject. For example; how our rich history and arts have influenced other cultures, especially those in Europe and parts of Asia and how African civilization and infrastructure set the blueprint for other nations. He also highlighted the abundance of abled minds and resources Africa is endowed with . He is also kind enough to remind us that the journey of life is a learning process and that we should strive towards reform and not regret. My favourite part (obviously) was getting to interact with him after his talk; he was very warm and unpretentious, easy going and as down-to-earth as a friendly neighbour. I came to the conclusion that Zakes Mda is no celebrity; rather, he is a simple man who has a brilliant perspective on the human (especially African) condition and deserves all the recognition he receives. Not only for his works but even more for his character, understanding of himself, regard for others and his fervour to influence positive changes in the world. What a brilliant article. Your way with words allows those of us, who missed it all, to be part of the Lecture…even if it’s just a little. Great stuff Deebles!